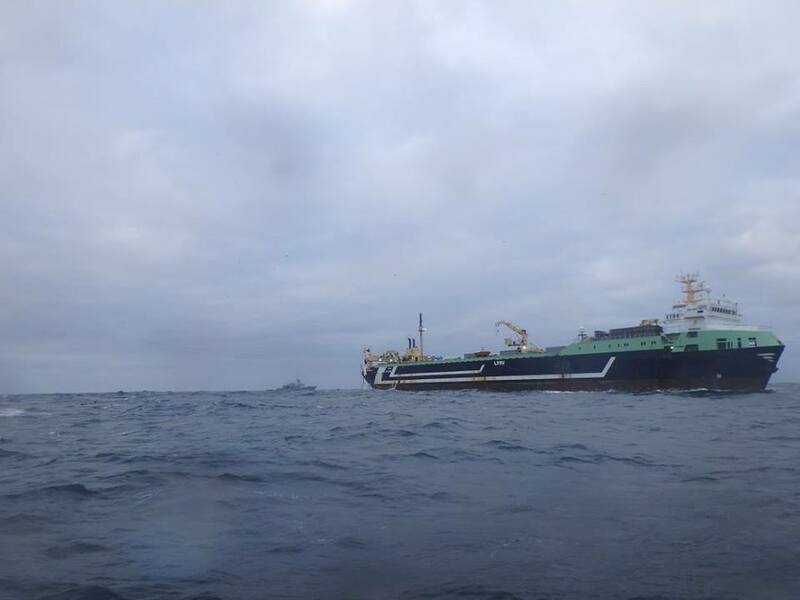 A visit to Irish waters last week by the super-trawler Margiris was greeted with understandable dismay by fishermen and environmentalists alike. The massive ship didn’t stay long however, hightailing it pretty soon after the Irish Naval Service had completed their inspection of the boat and its equipment and making for the waters of nearby, and perhaps less keenly monitored, northwestern Scotland. But if there was one positive to take from that brief appearance it’s that it has once again flamed the calls for these destructive vessels to be banned from Irish waters. We couldn’t agree more and here’s why. Super-trawlers simply don’t care. And we need to act on this basic fact. Their reckless activity stands in stark contrast to Ireland’s push toward sustainability in both fisheries and the environment. These massive vessels are a manifestation of the worst kind of industrial greed; their own gain relentlessly pursued without regard and to the detriment of all else. They literally take everything from the water, sort through what they want for themselves and dump the rest back overboard. What once were dolphins, ‘lower value’ fish and a whole range of marine life contributing to a healthy ecosystem are disposed of, back into the sea dead and half-dead, a useless mess above an emptied sea. It shouldn’t be like this and we need to do our part to stop it. Super-trawler Margiris In Irish waters last week, now hoovering up Scottish marine life. Irish waters can host a diverse range of marine life as well as a sustainable fisheries supporting sustainable communities. We know these things are not mutually exclusive. But we need to defend them. When massive factory ships of proven contempt arrive in our coastal waters, both the environment and local fisheries lose out. The important balance we strive for between fisheries and environmental protection is disrupted and the seeds of future conflict are sown. We need to protect our marine environment now so that it can continue to support us in the future. We need to quickly skip past the worthless justifications and bogus excuses – we didn’t see it coming! – because on this issue it’s right there, in the water, big as a goddamned skyscraper. For the sake of the environment and fishermen livelihoods, we need to ban super-trawlers in Irish waters. Sign the Petition below. 1. 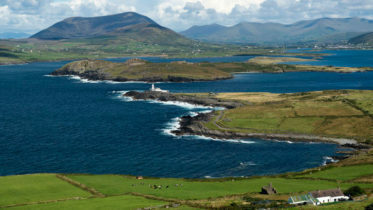 Bad for Local Fishing Communities – The backbone of many coastal communities in Ireland is the active fishing harbour. Normal-sized boats have plied their trade for generations but are seeing massive reductions in catch and with it the economic resources to exist. 2. 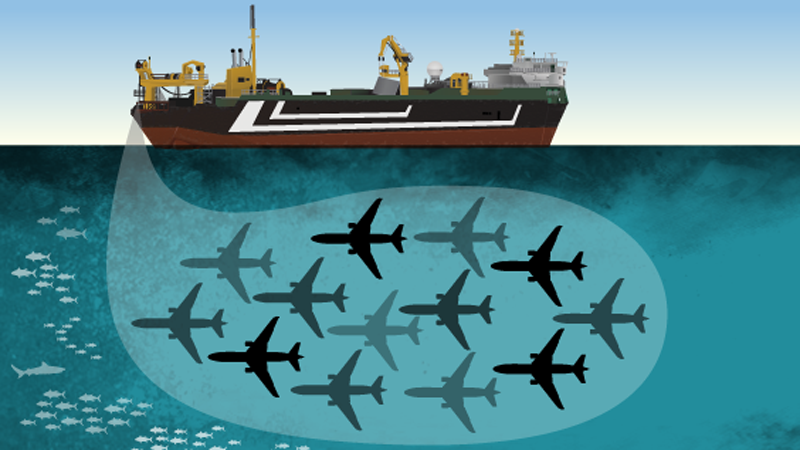 Bad for The Targeted Fish – The nets of super-trawlers are massive with enough room to swallow several Jumbo jets so it’s not surprising they take everything in their way, fish at all stages of their lives, and leave nothing to replenish the stocks. A well-managed fishery can see healthy stocks regularly harvested but super-trawlers are simply incompatible with this effort. 3. Bad for Other Edible Fish Stocks – These ships are taking everything in their massive nets, not just the fish species they have targeted but also other fish stocks which are then thrown back into the sea. This illegal practice, known as ‘high-grading’ ends up seriously disrupting other fisheries. In 2015, the 144-metre, 14,000-tonne super-trawler Annelies Ilena, operating out of Killybegs, Donegal was found with illegal equipment for high-grading fish and discarding some straight back into to sea to make room in their freezer for higher value fish. 4. Bad for All Marine Life – These ships indiscriminately catch of marine life in their nets – hoovering up entire schools of fish – and everything else besides -causing irreversible damage to wildlife and wiping out marine life like dolphins and seals. Last year a suspicious number of Dolphin deaths on Ireland’s west coast occurred when super trawler where active in the areay.